He has testified in multiple states ranging from superior court to federal venues. Stuart J. Eisendrath, MD has provided consulting and expert witness services in over 100 litigation cases in venues ranging from mediation to state and federal courts. He provides case consultations, record reviews, independent medical examinations, in-depth analysis and reports, depositions and trial testimony. Dr. Eisendrath's services have focused on civil litigation typically involving complex medical-psychiatric issues. 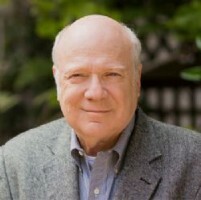 He has testified in cases involving factitious disorders (Munchausen Syndrome), hypoxic injury, traumatic brain injury, chronic pain including complex regional pain syndrome, somatic symptom disorders such as conversion disorders and malinger, as well as post-traumatic stress disorder, depression, disability and suicide, psychopharmacology, and psychiatric malpractice. He is internationally known as an expert in factitious disorders and he is co-editor of the classic book, The Spectrum of Factitious Disorders as well as numerous articles and chapters on the topic. Dr. Eisendrath has over 36 years of clinical and forensic practice. He directed the Psychiatric Consultation-Liaison Service for 16 years at the University of California San Francisco specializing in the medical-psychiatry interface including areas such chronic pain (he was one of the original co-founders of the UCSF Pain Management Center). He then became Director of the Adult Psychiatry Clinic overseeing the administration of psychiatric services to a diverse population. He next became Director of Langely Porter Hospital and Clinics as Director of all clinical services. This position involved monitoring the quality and peer review processes for all personnel in both inpatient and outpatient settings. Throughout these activities Dr. Eisendrath maintained an active clinical and forensic practice. Dr. Eisendrath is a Distinguished Life Fellow of the American Psychiatric Association, Fellow of the Academy of Psychosomatic Medicine, Senior Fellow of the Mind and Life Institute. He has been named a Best Doctor in America for the past 13 years. Dr. Eisendrath has extensive clinical, administrative and forensic experience over 36+ years of practice. He has published over 200 articles, chapters and books. He is widely known as an outstanding teacher who communicates his ideas clearly with both students and juries. His ability to communicate well with people has been demonstrated in his receiving numerous teaching awards including the University of California San Francisco's highest teaching award, The George Sarlo Prize. Dr. Eisendrath has directed or participated in multiple training sessions. Please see his CV for a complete listing. -Eisendrath SJ, Telischak KS. Factitious disorders: potential litigation risks for plastic surgeons. Ann Plast Surg. 2008 Jan; 60(1):64-9. PMID: 18281800. -Eisendrath SJ, Shim JJ. Management of psychiatric problems in critically ill patients. Am J Med. 2006 Jan; 119(1):22-9. PMID: 16431178. -Eisendrath SJ, McNiel DE. Factitious physical disorders, litigation, and mortality. Psychosomatics. 2004 Jul-Aug; 45(4):350-3. PMID: 15232050. -Eisendrath SJ, McNiel DE. Factitious disorders in civil litigation: twenty cases illustrating the spectrum of abnormal illness-affirming behavior. J Am Acad Psychiatry Law. 2002; 30(3):391-9. PMID: 12380419. -Eisendrath SJ. Psychiatric aspects of chronic pain. Neurology. 1995 Dec; 45(12 Suppl 9):S26-34; discussion S35-6. PMID: 8538883. -Eisendrath SJ. Factitious physical disorders. West J Med. 1994 Feb; 160(2):177-9. PMID: 8160474; PMCID: PMC1022332.